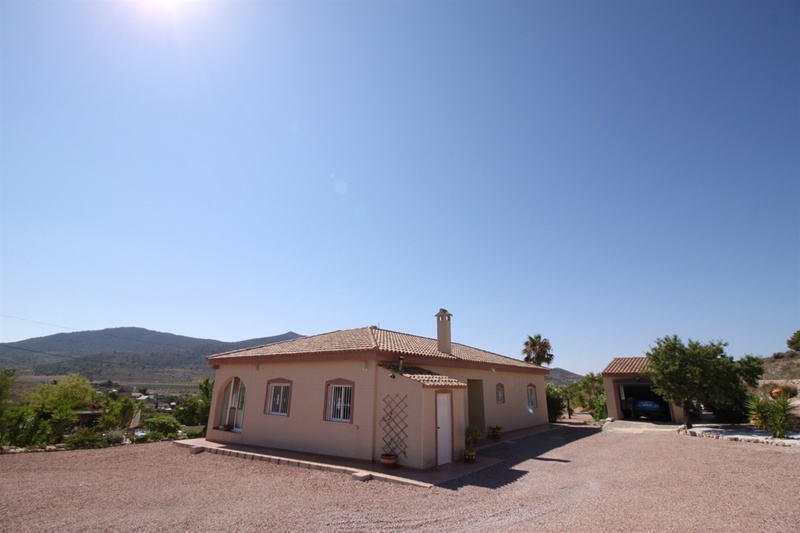 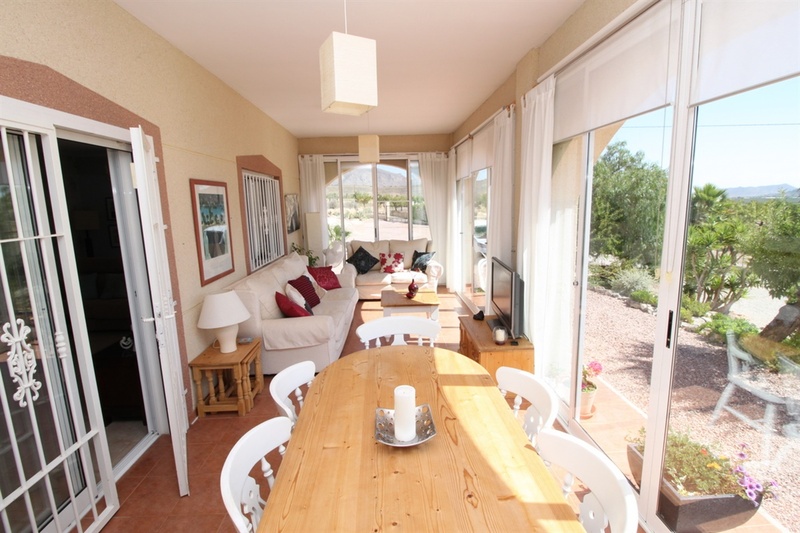 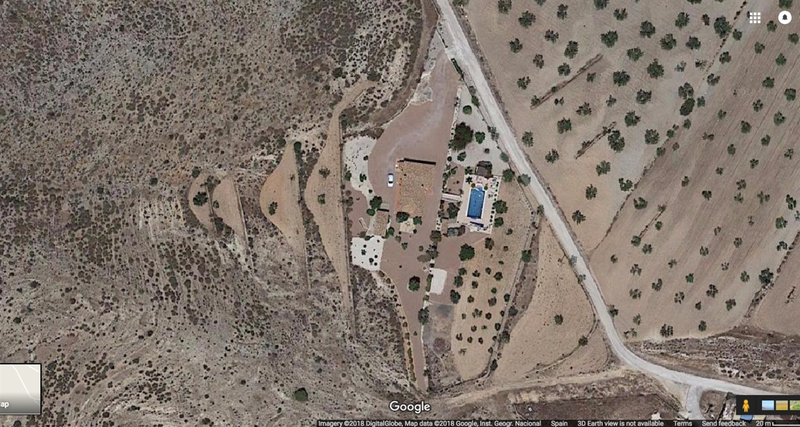 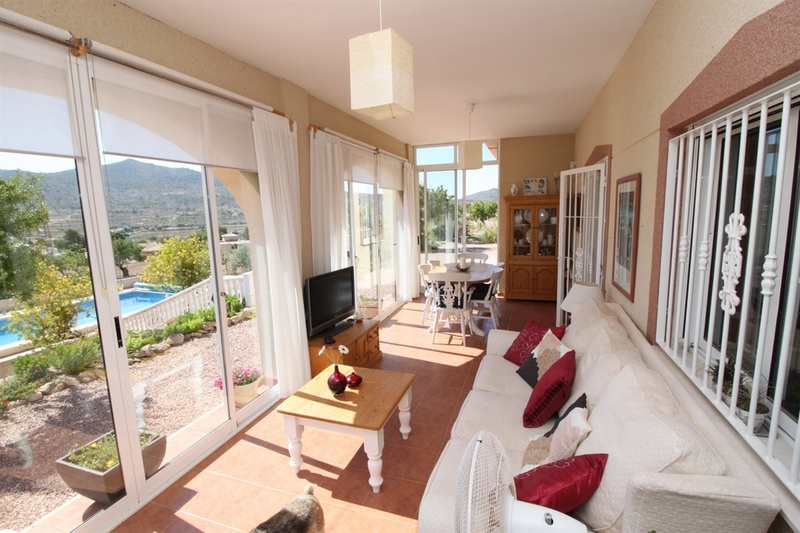 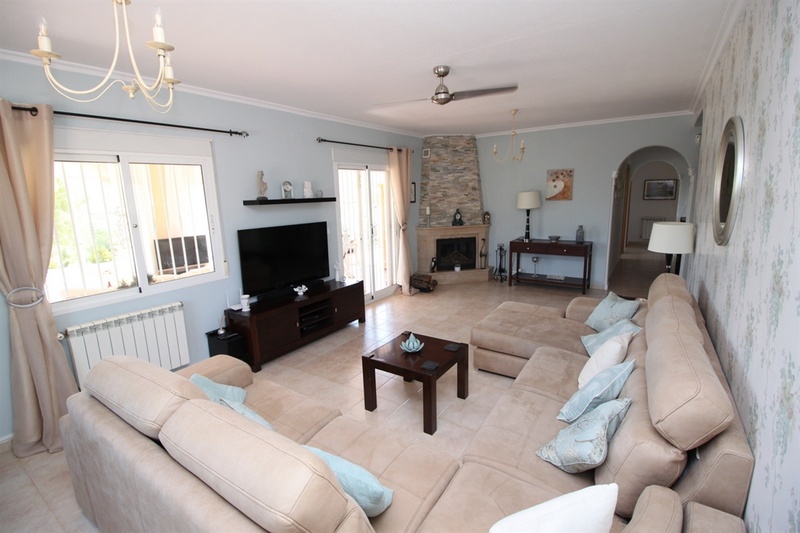 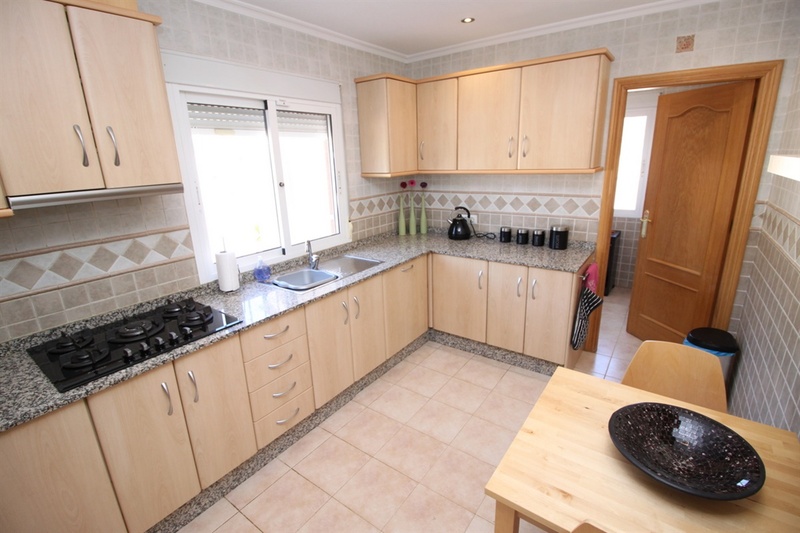 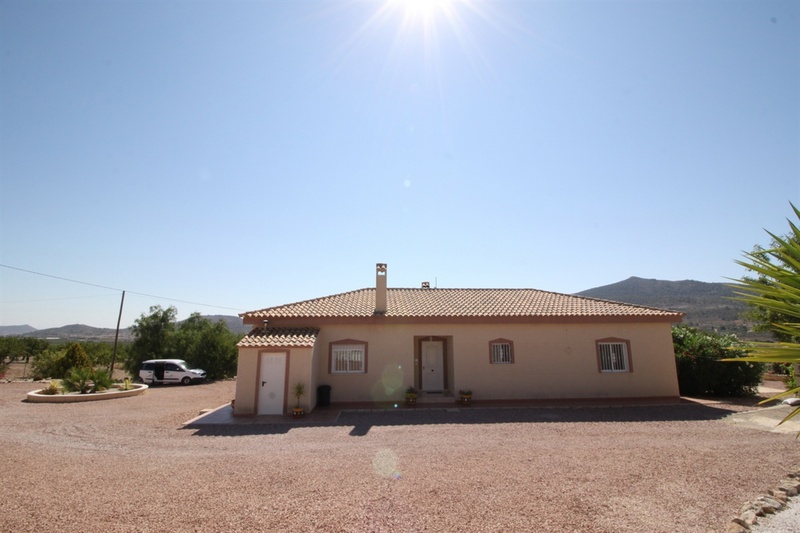 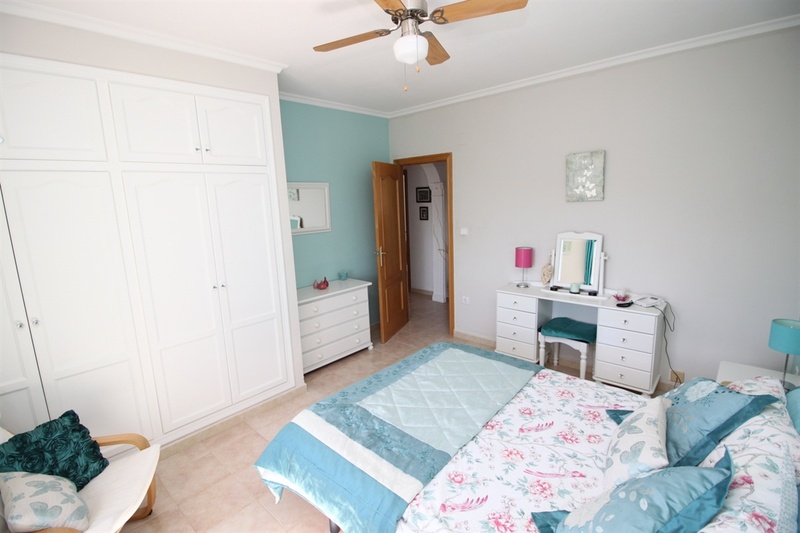 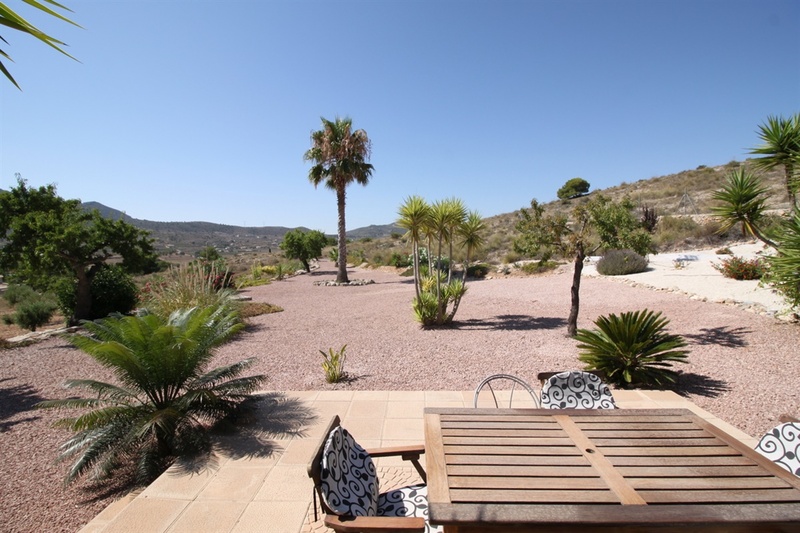 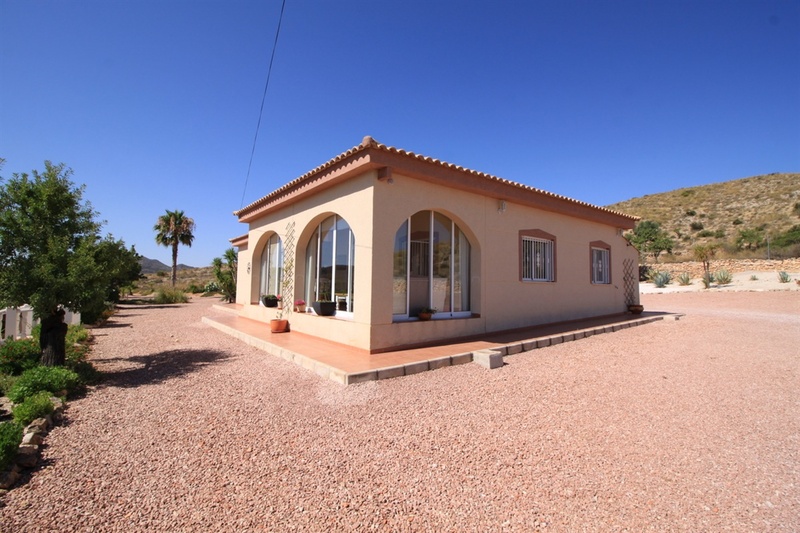 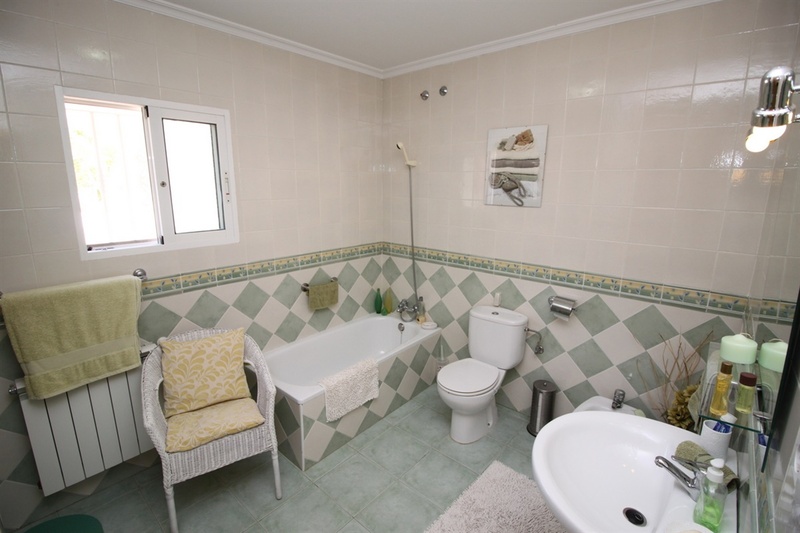 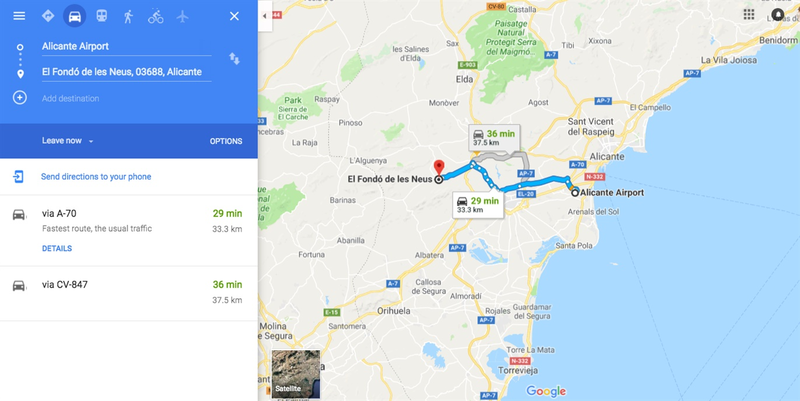 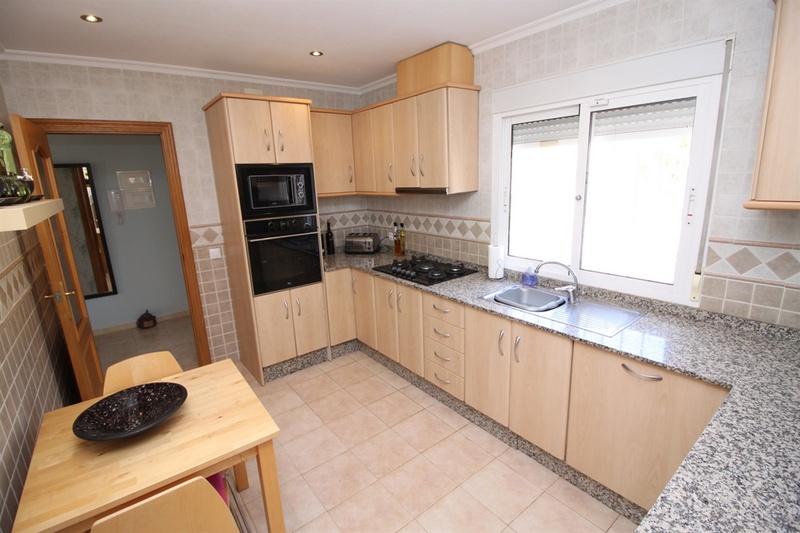 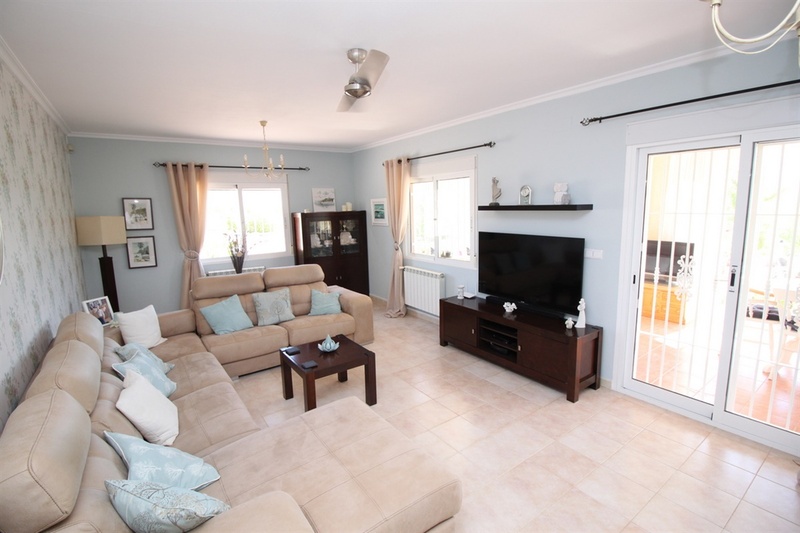 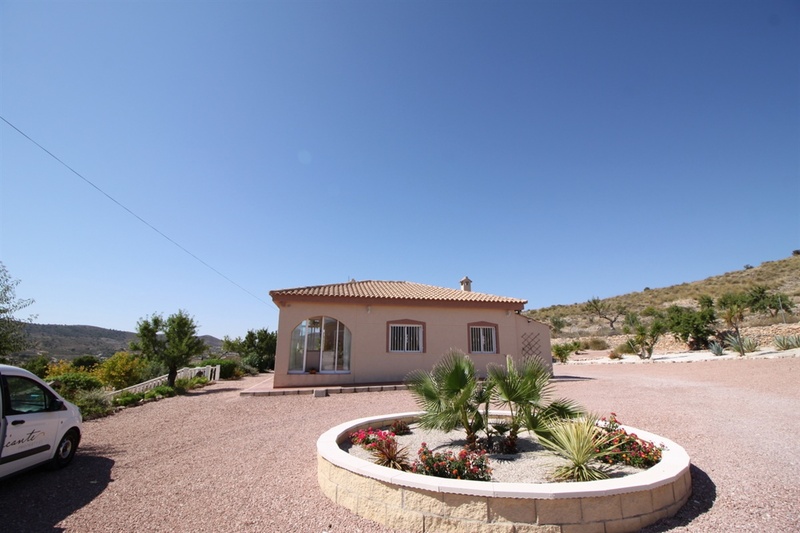 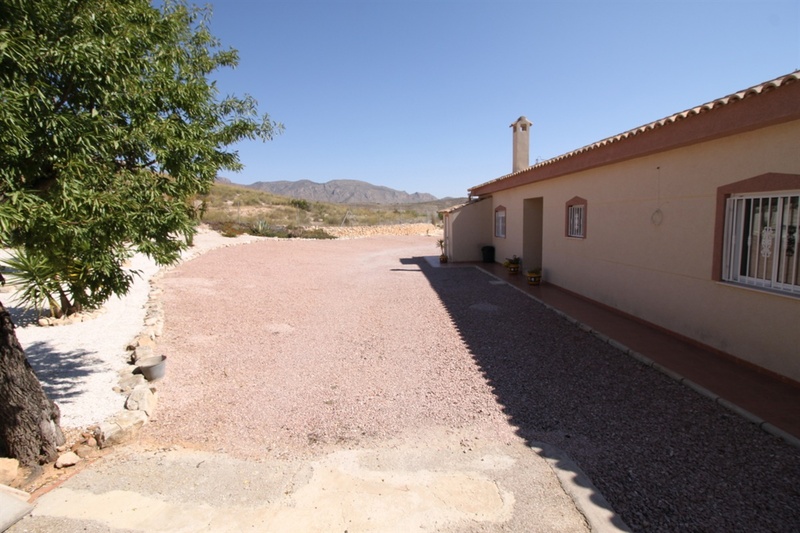 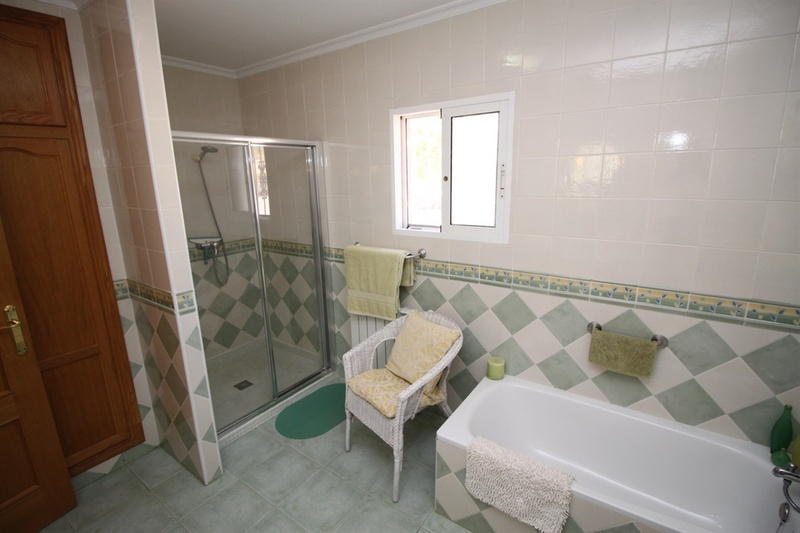 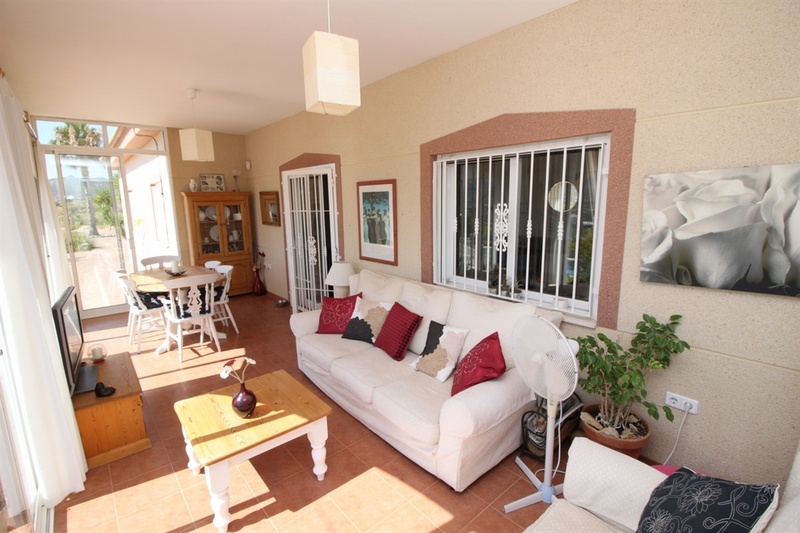 Detached Villa in Hondon de las Nieves, Alicante, with 3 bedrooms and 3 bathrooms within walking distance of town. 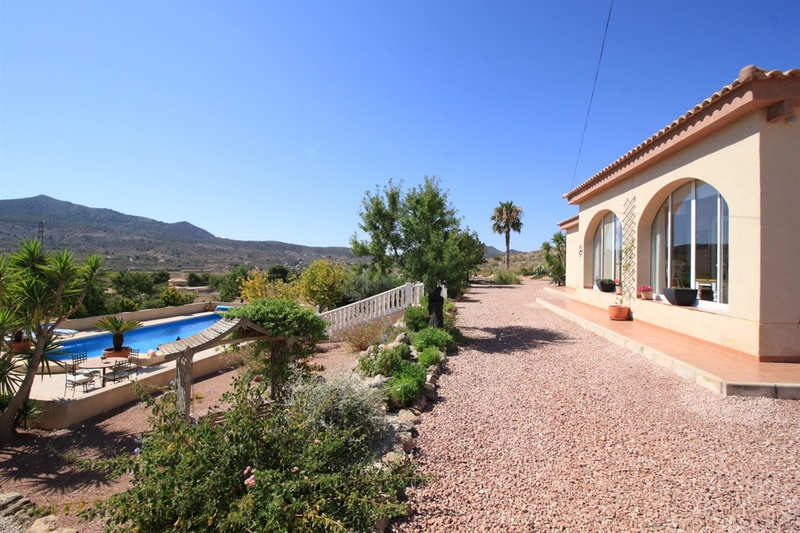 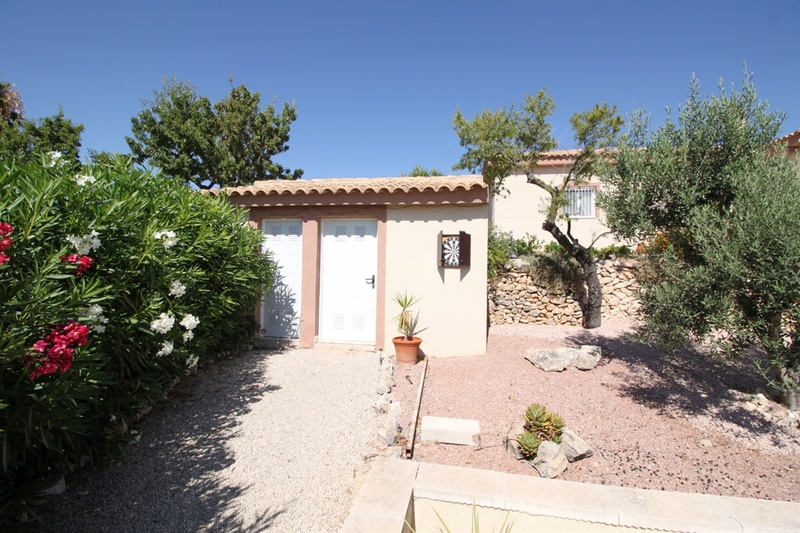 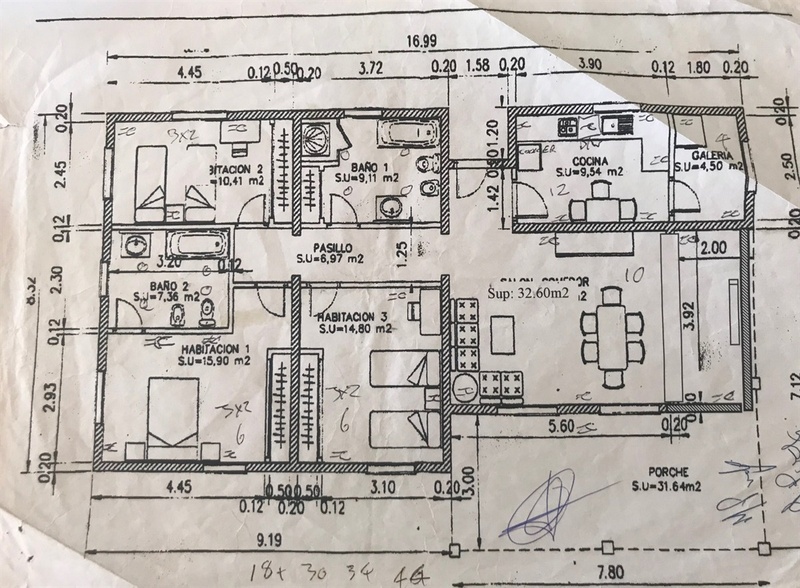 It also has a swimming pool, a summer kitchen, garage, outbuildings, BBQ and a fenced garden, the total plot size is 10,000m². 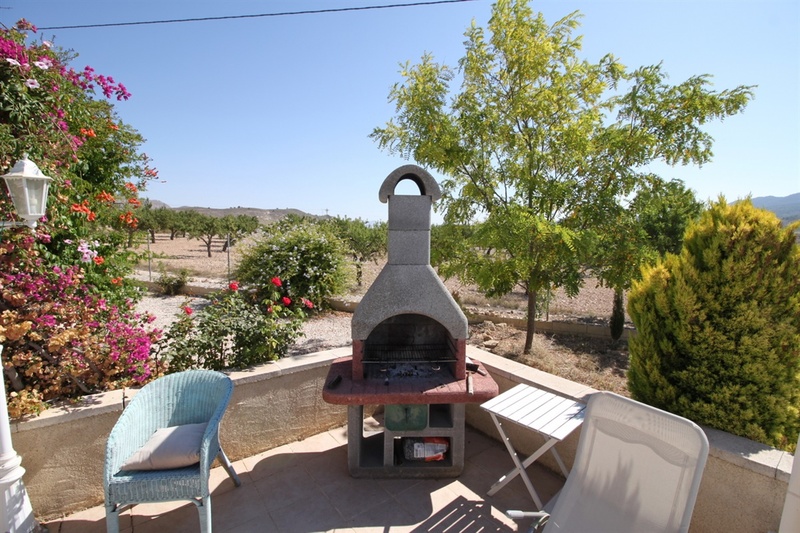 The house size is 150m², with a lounge, dining room, kitchen, fireplace, air conditioning, central heating, terrace and utility room. 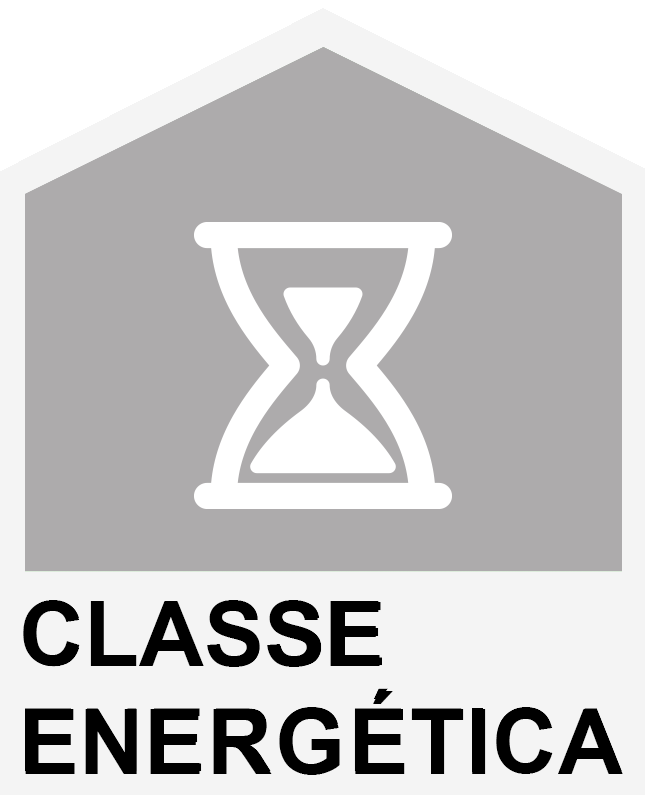 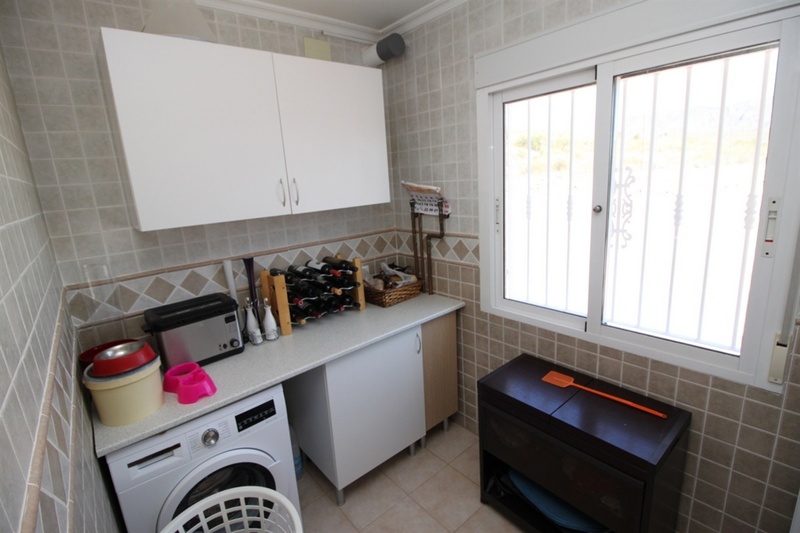 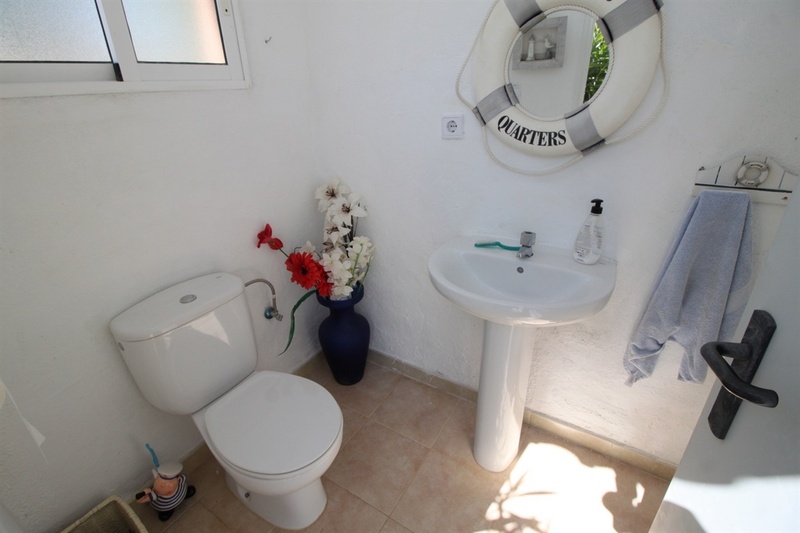 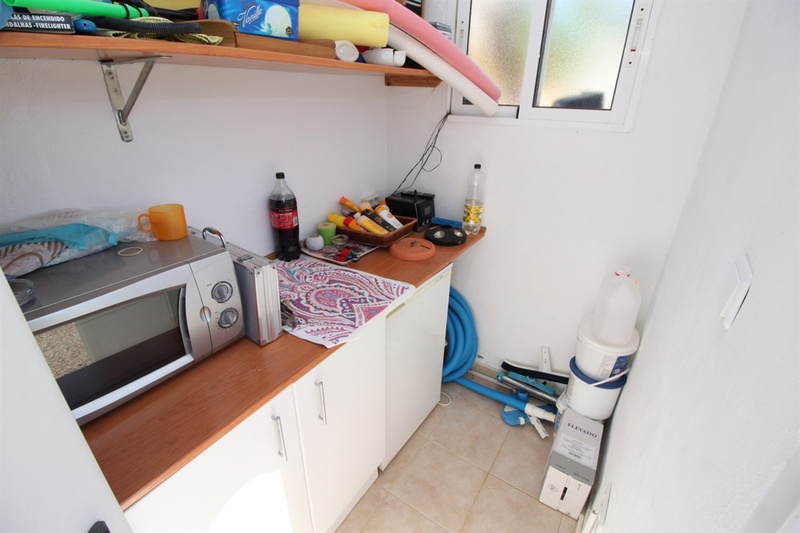 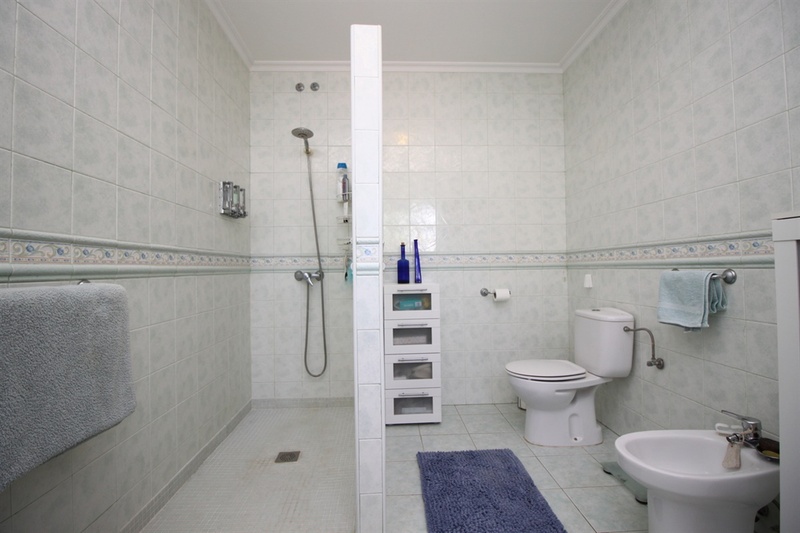 There is mains electricity and water, a septic tank, and the furniture and white goods are included. 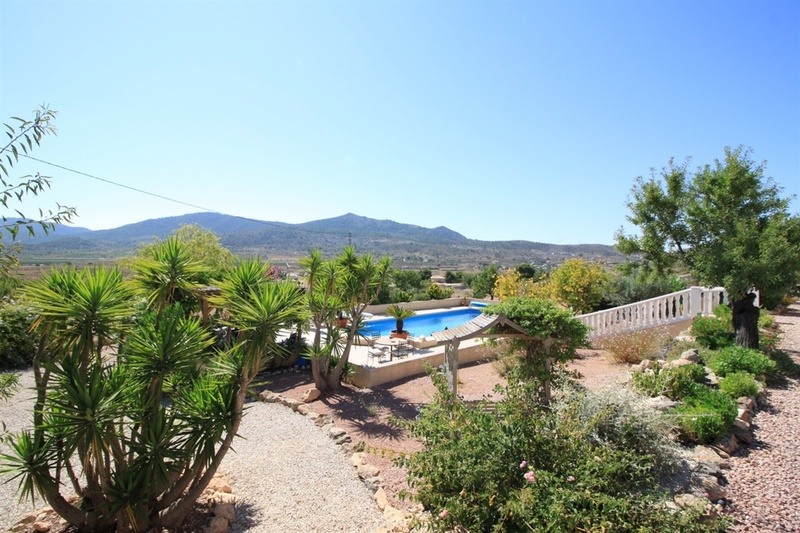 Perfectly private country property set on the edge of a popular town with several restaurants and open all year.